Hey everyone! I was reading Papercraft inspirations magazine (Feb, 2015) the other day and in it I found Jan’s blog, she makes such wonderful projects. Then continuing on with my discoveries it lead me to The Paper Shelter, going through a bunch of their images and things I fell in love! So I bought a couple, then carried on to their blog where I found out they are having a DT call. So I figured with my new found joy with this companies digi stamps, I would throw my hat in the ring. I printed Acrobat Little Doll on copic x-press it blending card, and coloured her up with my copics. I then layed some old prima paper behind with lace, doilies, and cheese cloth. 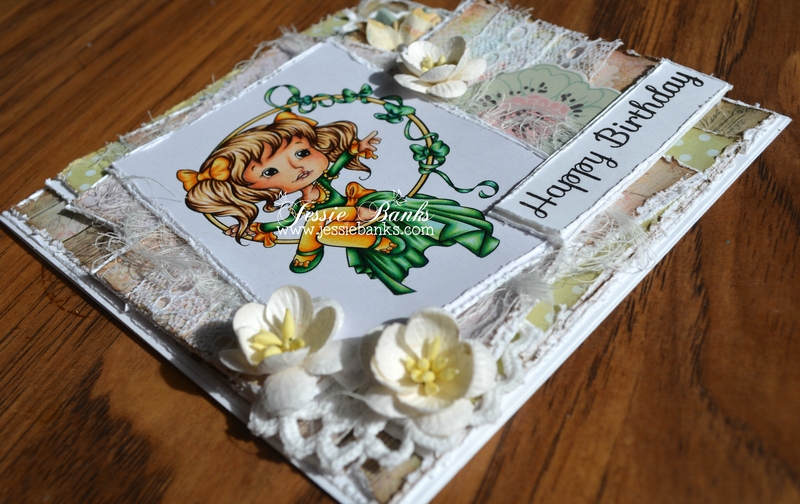 I embellished the card with Prima, and Wild Orchid crafts flowers and used a simple happy birthday sentiment. Thanks for the comment your blog is awesome! A lovely looking card in lovely colours. I love the way you have coloured your tps image and glad you found a new “love” in these images. Thanks for joining us over at the PaperShelter this week. 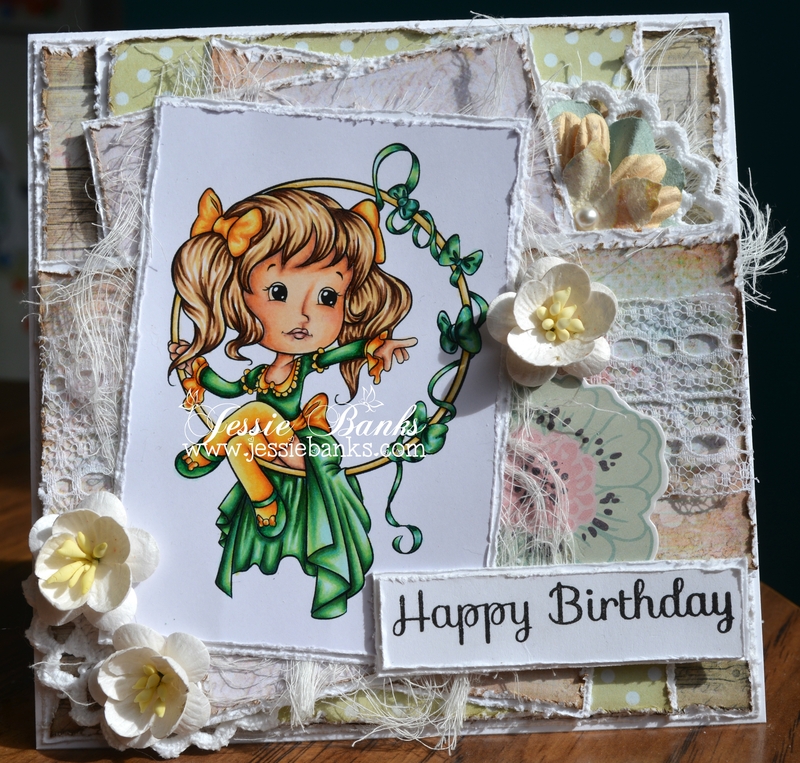 Love love love the design and colours of this card and the last two cards Jess! Absolutely GORGEOUS!! !